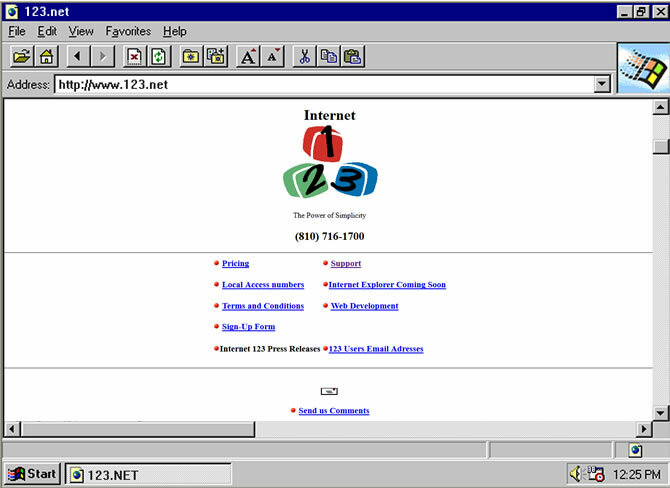 123.Net, Inc. (123Net) was founded by Daniel Irvin in 1995 as Internet 123, Inc. In 1998 the organization purchased a small ownership stake in a local phone company then acquired Local Exchange Carriers of Michigan, Inc. (LECMI), a Competitive Local Exchange Carrier service three years later. The business rapidly grew, leasing its first data center space at 24700 Northwestern Highway in Southfield, MI, in 2001. By 2008 two adjacent buildings were purchased along Northwestern Highway, with each becoming 123Net data centers. In 2010, 123Net purchased the assets of West Michigan Internet Services (WMIS) located in Byron Center, MI, which became the organization’s West Michigan office. Data center space was remodeled to facilitate the Grand Rapids market. In 2011, construction was completed at 24245 Northwestern Highway, a landmark data center that implemented a hot-aisle cold-aisle design. In 2013 123Net moved its business operations to its current home, 24700 Northwestern Highway. This site is 123Net’s corporate headquarters and houses over 80,000 sq. ft. of Tier IV state-of-the-art data center space. Today 123Net successfully provides data center, network and voice services to all types and sizes of businesses, carriers, ISPs, and technology companies. 123Net has over 100,000 sq. ft. of colocation space, dispersed over four premier Tier 3 data centers, with three in Southfield and one in Grand Rapids. 123Net’s data centers are all HIPAA, PCI-DSS, and SSAE-18 SOC 2 Type II/SOC 3 compliant. The organization has over 3,500 route miles of fiber and remains committed to expanding its dense network presence in Metro Detroit and Grand Rapids. With 123Net’s continuously growing fiber footprint, hundreds of local Michigan businesses are connecting to high-speed fiber Internet access. 123Net also has over 55 fixed wireless Point of Presence (PoP) sites strategically located across Michigan. More PoP sites will continue to be added while existing sites will be fortified to make Michigan’s most reliable network even more reliable. Each year 123Net continues to add thousands of seats to its Hosted VoIP phone service while expanding its portfolio of PRI lines. 123Net is the largest independent phone company in Michigan and will continue to offer traditional, VoIP and hosted voice. 123Net shares the same passion to grow and evolve that has led to over 20 years of continuous growth. In the last year alone, the organization had its first customer consume over 1 MW of power and deploy a redundant, terabit speed connection. It also saw the Detroit Internet Exchange, Michigan’s only carrier neutral internet exchange, become one of the 40 largest peering hubs internationally. The company anticipates growing 25-30 percent year-over-year. With a focus on making Michigan the best-connected state for business, 123Net will continue delivering the most reliable data center, network and voice services in the state. As the demand for mobility and internet-based services across Michigan rises, 123Net will continue to provide a reliable backbone that facilitates this growth.